At last some common sense prevails when it comes to food labeling. Government experts are proposing new rules that will remove labels from hundreds of foods to help reduce waste. 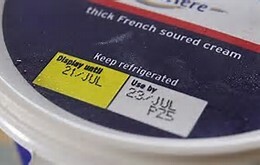 'Use by' dates are ridiculous anyway - surely you can tell when the milk or the cheese has 'gone off'. Smell it or taste it - that's the best test, rather than throw food away because it is past its 'use by' date. In our house, we throw away very little food, unlike most households where huge quantities of fresh fruit and vegetables are put in the bin because of a date on a label. 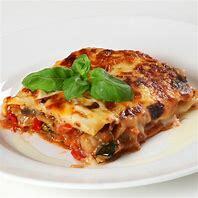 While I know that one of the problems of wasting food is due to many Brits not knowing what to do with leftovers or food coming to or passing it's 'use by' date, nevertheless, we still seem to waste so much food simply because we are dictated-to by a label. Government food experts are now saying that the 'nanny state' is over and families should be trusted to judge when fruit and veg are no longer fit to eat (and it's not when the potatoes develop shoots!). The Department for Environment, Food and Rural Affairs, the Food Standards Agency and the waste advisory charity WRAP (Waste and Resources Action Programme) have drawn up guidelines to help us make our own decisions. 'Thanks for that,' I say sarcastically. Currently, products can have as many as three dates on them. 'Display until' is designed for supermarkets, rather than shoppers, to help them manage stock. 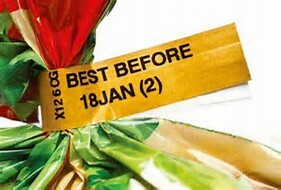 'Best before' indicates when an item is likely to be at its best, merely as a guide. And 'use by' is a legal definition to prevent people from eating products that might make them ill. However, the new guidelines say that 'use buy' dates should only be on foods that pose a health risk if kept for too long, where harmful bacteria can multiply. These include fresh meat, fish and poultry, chilled ready meals (who eats these? ), cooked sliced meats, pate, cut fruit, fresh cream and sandwiches. Guidelines say that there should be no 'use by' dates on uncut fresh fruit and vegetables, fizzy soft drinks, pasteurised fruit juice, packaged biscuits, bread and tinned foods. Most foods would therefore only carry just one label, 'best before' or 'use by' and many would have none.